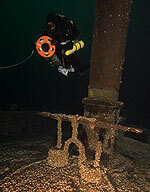 Archeological documentation of the deck and its features. 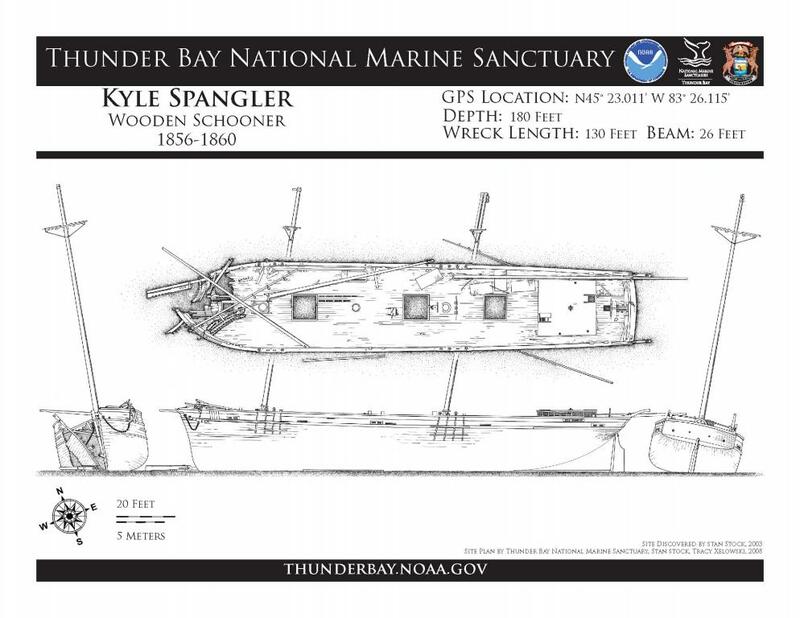 Description: The Kyle Spangler was one of many Great Lakes vessels that made trips to the Atlantic coast in the early days of direct trade with saltwater ports. Spangler left the lakes with a load of lumber in 1859, returning the following spring. Not long after, while upbound on Lake Huron on a dark night with a load of corn, it collided with the downbound schooner Racine a few miles off Presque Isle. The collision shattered the Spangler's bow sinking it in deep water, but the crewmen were taken safely onboard the Racine. 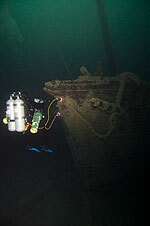 Today the ship rests relatively undamaged except for the bow, resting upright with its masts and cabin intact.